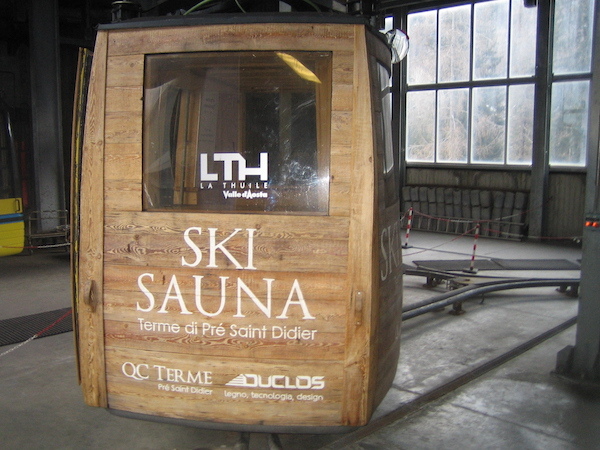 The second stop of my tour of Italy’s Aosta valley resorts was La Thuile in Italy, linked to La Rosière in France to form the extensive Espace San Bernardo ski area. Our first day there dawned with clear skies and hardly any wind. Ideal conditions to head over to La Rosière to inspect its expansion onto a new mountain, Mont Valaisan. This area was previously accessible only by hiking or ski touring. 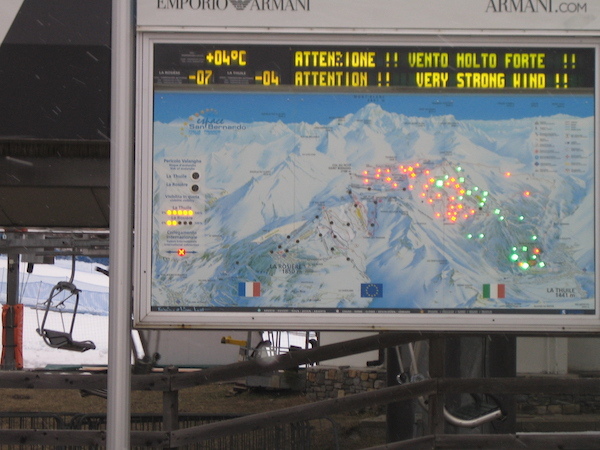 Two successive six-person fast chairlifts and five new pistes have now made it available to all. By far the biggest benefit of the new lifts is the opening up of vast amounts of lift-served off-piste in bowls on both sides of the Mont Valaisan ridge. Indeed, a freeride competition was being held there on the day I visited, with competitors strutting their stuff down seriously steep and gnarly terrain. 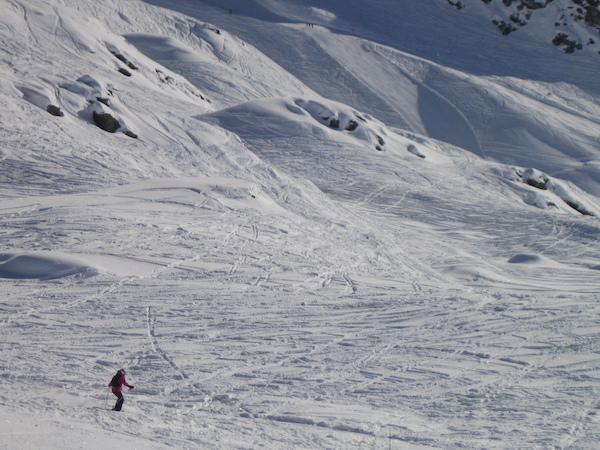 But there is plenty of easier bowl skiing too for the less intrepid. Sadly, I found the two new red pistes under the two new lifts a bit disappointing. The one under the top chair is very narrow for most of its length and can, I’m told, get worn and icy. The run under the lower chair is somewhat wider and more enjoyable. But it has a couple of seriously steep sections, which only good and confident skiers will enjoy. Back in La Thuile, we cruised the easy blue and red runs down to the mid-mountain area of Les Suches before a lunch of delicious homemade pasta at the Lo Ratrak restaurant there. Then we enjoyed the more challenging reds and easy blacks down to the Petit St Barnard pass area. The next day was a complete contrast. The wind was howling and the lifts above Les Suches were mostly shut. So we were confined to the steep lower slopes in the woods back to the resort. The black runs here are seriously steep and the sole red run, while not steep, is a narrow road through the woods. Despite the wind we made it to Maison Carrel for lunch, with yet more delicious home made pasta. The charming owner is a descendent of Jean-Antoine Carrel, who just failed to pip Edward Whymper’s team to be the first to climb the Matterhorn (in 1865). One of the highlights of our La Thuile trip was the five-star Montana Lodge hotel we stayed in. It is superbly run and the rooms, food, service (including on-demand shuttles to/from the slopes and local bars and restaurants), pool and spa facilities and ambience were excellent. More on the Montana Lodge in a forthcoming feature.